DV lottery, the official American diversity visa lottery allows Nigeria born people to apply for the program in the given thirty days, regardless of where they are living now. To play the DV Lottery they must meet the education and or the work experience requested by the visa lottery program. 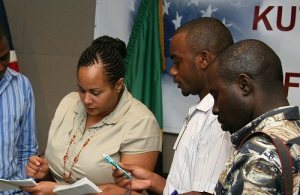 Already tens of thousands of Nigerian have made the USA as their new home under this Green card lottery program which used to be held every year. Many went as single while others made there with their eligible family members. Important notice to Nigerian DV lottery applicants. It is not necessary to be a married person to apply for the DV Lottery through the online application form. A person can submit only one entry for the DV Lottery program as primary applicant. Husband and wife each can submit one entry with their family members if both of them meet the required educational qualification. To participate in the coming green card lottery program you must submit entries through the online application form. 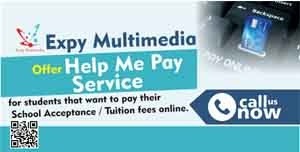 Nigerian born persons must have the required minimum educational qualification which means successfully should have passed high school certificate after attending the junior and high school for a period of 12 years. Or must have work experience of 2 years within the last 5 years in an occupation after studying/training the work for a period of 2 years. You must use O*Net web site of the DOL to check whether your job is accepted one. Take note that very less people qualify for the DV lottery program under the work experience. For Nigerians it is necessary to have passed the WAEC examination and must have the certificate and a scratch card with them. Take note if you are selected for the interview the consular officer will verify the WAEC certificate. There are many people disqualified and lost their visa fees after they were found with false WAEC certificates. If you are married you must include your spouse details with digital photo file. If you have children, whom are unmarried and under the age of 21, you must include their details too along with their separate digital photo files even if they are not immigrating with you to the U.S.A. You must include all natural and legally adopted children and children from previous marriages, those children who are US Citizen or LPR holders are not to be included. Those who are selected for further processing will not be notified individually to their addresses. All the DV lottery applicants are requested to check their status in the official American Government web site using their confirmation number and personal details. There is no money involved till you attend your DV Lottery interview. The non refundable visa fee must be paid only to the consular office on the day of the interview in local currency. If for any reason the visa is rejected, the visa fee will not be refunded. Don't send money by banks or western union to obtain American visas. The visa interviews will take place from 1st of October till 30th September next year. Those who are in the USA and being selected for the program can contact the USICS to adjust their status. On 30th September midnight the DV lottery for the fiscal year will be officially closed and there after no visas will be issued under that year program and no one will allow to adjust status under that year program. 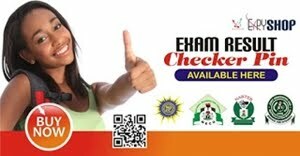 Check your WAEC Examination Results Online. West African Senior School Certificate is awarded to candidates who sit for all the core subjects and two or three elective subjects. Certificates will be awarded on the basis of subjects offered. Agricultural Science or Vocational Subject.